In the next phase of textile design development there was a new generation of artists who were initially more interested in woven tapestries. But over time, other textile and authorial techniques come to the fore as well, less demanding on design with respect to time and space, more suitable for more intimate studio work. Experimenting with non-traditional, often non-textile materials and the desire to discover other forms of textile art brought a wide range of diverse procedures and work practices. Printing, machine-made knitwear (M. Klimanová-Trizuljaková and I. Dobešová dominantly focusing on this technique in their work), batik, lace, embroidery, applications and sewing, and in particular using non-textile materials, for example, paper, have come to the fore of interest for textile artists. Paper as a non-textile material closest to textiles is used, for example, in combination with thread, but other materials such as wood, plastic and metal also come into play. Wire is a medium that I. Miháliková and B. Šperková use in their work. 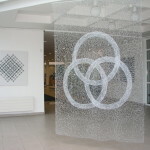 Both use the textile weaving technique to create fragile, transparent objects located on the borders of jewelry and sculpture. After the revolution in 1989, the Department of Textiles was established on the grounds of the Academy of Fine Arts in Bratislava, which split into three equal studios soon after it’s founding: a fine textile design studio, textile studio, and fashion design studio. The graduates of Czech, Polish, Hungarian, Bulgarian art academies are increasing in numbers as well. Under the influence of diverse schools, textile art became independent, and as if extending to the border with fine arts. The forms of installations and object perception of the works are penetrating the sphere of textile art, similarly conceptual and minimalist tendencies thanks to these artists. One of the representatives of these trends is also Jozef Bajus, who worked at the Academy of Fine Arts, where he led the Department of Textile Design. Currently, he teaches at Buffalo State College in the US in the Department of Fiber/Design. Paper was always the dominant medium of his work; from planar, almost graphic work made of cut, folded, stitched and entwined paper he gradually moved to three-dimensional geometric objects. He uses hand and writing paper, in which the color and text play a role, forming a pattern. An example of this line of his work is the paper object entitled Fan (2002). Often he processes paper as textile material, using, for example, weaving and dyeing methods, as in the work Shibori (2005), where he applied the Japanese method of textile batik. His work ranges from dimensional installations in space reaching landscape art nature, to miniature objects developed in detail. Another artist whose work presents similar trends with significant overlaps into other media is Miroslav Brooš. He graduated from the Bulgarian Academy of Fine Arts in Sofia (textile, painting). His work has a strong process-character on one side, where in the spirit of landscape art ideas he created the Carrying the Earth (2006 – 2008) cycle. It consists of several parts – Records from Slovak Paradise, Giving to the Earth, and so on. 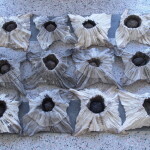 The installation entitled Attempt at Coffee Cultivation (1996 – 2000), where he only uses coffee filters that he comprises and layers, indicates his further interest in other than the textile medium. 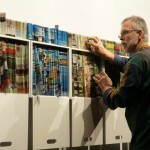 He utilized paper and its wide range of processing or recycling in the cycles from the 2003 Fruit of Paper and Sawn/Open. He places emphasis on the conceptual dimension of the used materials, often seeking unusual combinations and contrasts, such as textiles – metal, soft – hard, thus causing the desired tension. 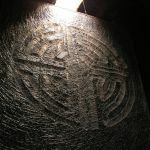 His installation Attempts to Connect Black and White was awarded the bronze medal at the Triennial of Tapestry in Lodz in 2004. He is currently working at the Matej Bel University in Banská Bystrica. Brooš’s production is one example of the border crossing between textile and fine arts. This also applies to a graduate of the Budapest Academy of Arts, Karol Pichler, who has always placed an emphasis on the concept in his work. In his installations he actively involves the audience through interactive games with text using characters and symbols. 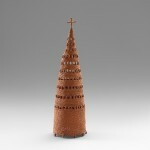 In his early works he used various materials such as paper, plastic, textile, metal. The creation of geometric and deconstructivist compositions, such as the triptych Localisation destructive (1988), Localisation quadratique (1989), is an example of these trends. In the field of design he won a prestigious award at the 2009 Pręmio Design Contest in Sao Paulo. 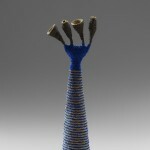 Today he participates in tours of fine art, textile not a priority media of his current work. The feminine aspect is evident in the creation of Júlia Sabová, which has a rather subtle nature, for example, the Diaries cycle. In the confined spaces of boxes she creates varied combinations of objects made of handmade paper, collages, textile fragments, or found readymade objects, or various natural materials, leaves, fruits and so on. The collection of felt hats is dominant in her clothing-design work. 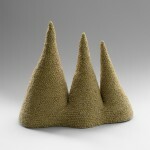 She builds the hats from simple geometric shapes that she interconnects and combines. Through layering and an artistic design or shearing structures she creates an object of sculptural qualities from utility items. R. Trizma’s jewelry completes the collection. In addition to textile production, she is also deeply focused on painting, where she translates her experience from working with textiles, especially with design and pattern, texture and color. She graduated from the Academy of Fine Arts in Bratislava, where she currently works as the Head of the Department of Textiles, and since 1994 she has been leading the Fashion Design Department. 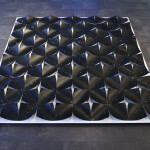 Blanka Cepková, who has been leading the studio of Textile Production in Space since 2009, is also working at the Academy of Fine Arts in Bratislava. Cepková graduated from the Textile Alternatives studio at the Prague Academy of Arts. In her work she focuses on the creation of textile and non-textile objects, jewelry, and also vitreous enamel technology. 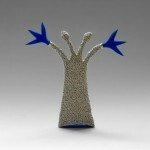 She utilizes the rich tradition of Slovak folk textile techniques based on which she creates three-dimensional objects, mostly smaller formats or textile jewelry – collections of brooches and necklaces, pendants and so on. 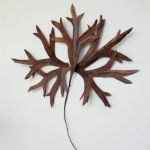 She combines natural materials and metal threads of different colors and experiments with plastic. A characteristic element of her jewelry is simple geometric stylization, for example, in the collection of needles. With their morphology, other objects recall imaginary characters, archaic biomorphic formations. 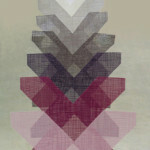 In recent work she also deals with the digital jacquard weaving. In the vitreous enamel art technology she largely creates geometric composition but also historical replicas. She presents her works in numerous exhibitions not only with an exclusive focus on textiles, but also jewelry and vitreous enamel. Mária Fulková graduated from the Textile Alternatives studio together with Cepková, and then continued her studies at the Academy of Performing Arts in the field of stage design in Prague. The artist is not primarily focused only on the medium of textile; in the broad range of her creations we can find her taking a deep interest in drawing, painting, installations and costume design. The closest technique that suits her graphic feelings is the print technique, which she used, for example, in the Handkerchiefs collection entitled Deceased Gentlemen (1998). 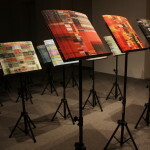 In 2009 she exhibited the Paths and Places cycle, where she used her sketches from trips, subtle diary entries and portraits, which she transmitted to textile through digital printing technology. She also created a series of floor plans that characterize her “nomadic” lifestyle, constant moving around from place to place, which she installed as lightboxes. Currently she has been working with the theme of memory, the latest works (2012 – 2015) including installations made of recycled textiles (fragments of men’s pajamas, socks, underwear) from her family, which she inundates in concrete. Currently she is leading the studio of Textile Design at the Academy of Fine Arts in Bratislava. 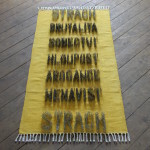 Fulková is currently also working at the textile department of the Faculty of Education, at the University of Hradec Králové, led by another Slovak artist, Mária Hromadová. She graduated from E. Cisárová – Mináriková’s studio; after studying in Slovakia she also graduated from the Academy of Performing Arts in Prague, Department of Stage Design – Costume and Mask with Prof. Jana Zbořilová. In her work she uses demanding technologies, whether it is the Ikat dye technique, processed in different ways, including weaving, etc., and innovative techniques for processing new materials, e.g. silicone fibers. Another characteristic feature of her work is the confrontation between past and present and response to current topics in the pieces Borders (2009) and Media Bubbles (2012). 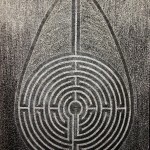 She created the piece Labyrinth, formed from silicon fibers, which was awarded at the International Triennial of Tapestry in Lodz in 2007, together with her sister Zuzana. Z. Hromadová graduated from Prague’s studios, first at the Academy of Arts with Prof. Adela Matasová, and then the Academy of Performing Arts, the Set Design Department with Prof. Jan Dušek. The double-sided woven triptych Animal Painting from 1992 is just one of the works that dealt with this subject, with which she created tapestries and objects. She uses bio-material from rooster feathers and leather, which she combines with wax, to create works of art. 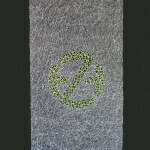 Hromadová uses diverse materials from natural fleece in the technique of felting to create subtle objects and tapestries, to new materials, such as silicon fibers, processed by various techniques, for example, embroidery. She also experiments with other traditional techniques. She currently works at the Faculty of Education, University of Hradec Králové at the Department of Visual Culture and Textile Production. The creations of Ľuba Sajkalová, who graduated from the E. Cisárová – Mináriková’s studio of Fine Textile Production, where she also worked as a teacher (2008/2009), are also on the imaginary border between textile and fine art. Sajkalová is a representative of a conceptual line, selecting themes from personal and family history and deeply focusing on the themes of object memory. She exhibits her works at fine art exhibitions, for example, at the Delete. Art and Wiping Out exhibition in SNG in 2012. Remaining art overlapping from other disciplines are also applied in our country, along with the various mentioned forms of installations, happenings and installations, in landscape art nature. Textile art thus keeps shifting and expanding its borders. Several artists (painters, sculptors and others) deal with the media of textiles in their programs. The works of M. Haberernová, whose sewn objects and puppets are part of the space installation, environments by A. Mlynárčik, and D. Tóth’s installations using soft food materials can be called soft sculptures. Here we can also include some works by J. Jankovič, I. Németh and E. Wargová. S. Filko with his inflatable and plastic objects and O. Laubert, who works with paper mache he processes through tearing, clipping and other procedures, also belong here. K. Bočkayová references embroidered fragments of wall paintings and tiles in her works. 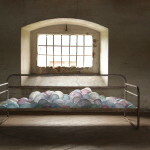 From the youngest generation of artists it is the sculptor M. Podmanická who creates textile site specific installations. A characteristic feature for her is the monochromatic white color of substrate sketch-line black line embroidery. Although there are less textile art shows in comparison with the previous period, the artists today have more opportunities to present themselves outside of Slovakia. This period provides them with better opportunities not only for studies but also professional realization abroad, where they can encounter other artists as well as respond to developments and trends in the world. Currently, there are two periodic exhibition presenting textile production in Slovakia: Textile Miniatures (since 2001) and the Triennial of Textile (since 2006), both with broad international participation.